He made his fame and fortune as a realtor in Coronado during the 1970s with M&M Realty. He sold the Van Ness Mansion to Larry Lawrence (owner of the Hotel del Coronado) and built most of the homes in Coronado during that decade. But it was his follow-on career that has endeared him to millions of people – both locals and tourists; civilian and military. 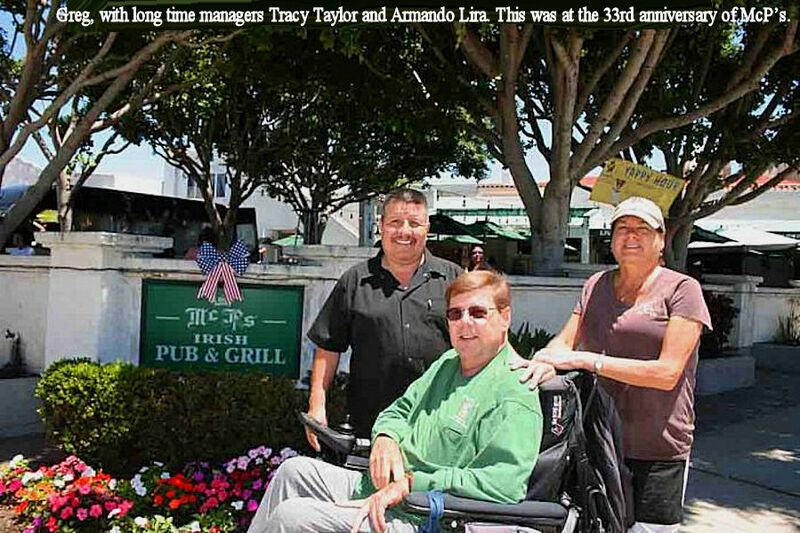 He opened McP’s Irish Pub in 1982 and created not only a home for the Navy SEALs, but a favorite watering hole and eatery in Coronado that grew, like its founder/owner, to legendary proportions. Greg McPartlin died Sunday, Nov. 4, from an extremely aggressive form of cancer. He was 69. He had been wheelchair-bound for several years. Despite his physical limitations, Greg managed operations at McP’s on a daily basis until shortly before his passing. He continued to have the respect and love of his employees and customers. Despite legendary status among locals, he never let any of it give him a big head. To those close to him, he remained a humble genius with a sense of humor and a big heart. His generosity was well-known. He gave and gave, but never asked for credit or anything in return. It was estimated he donated more than $100,000 to area causes – the Coronado Library and school system, SEAL Team reunions, high school athletics, the July Fourth Parade. 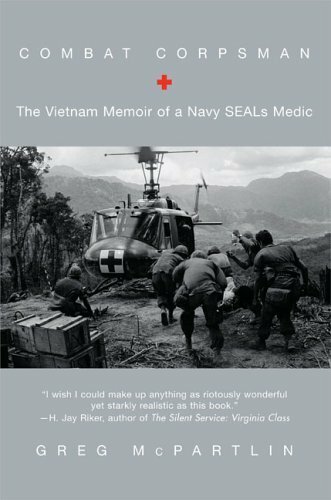 In 2005, Greg released his book, “Combat Corpsman,” a Vietnam memoir of his time as a Navy SEAL corpsman. 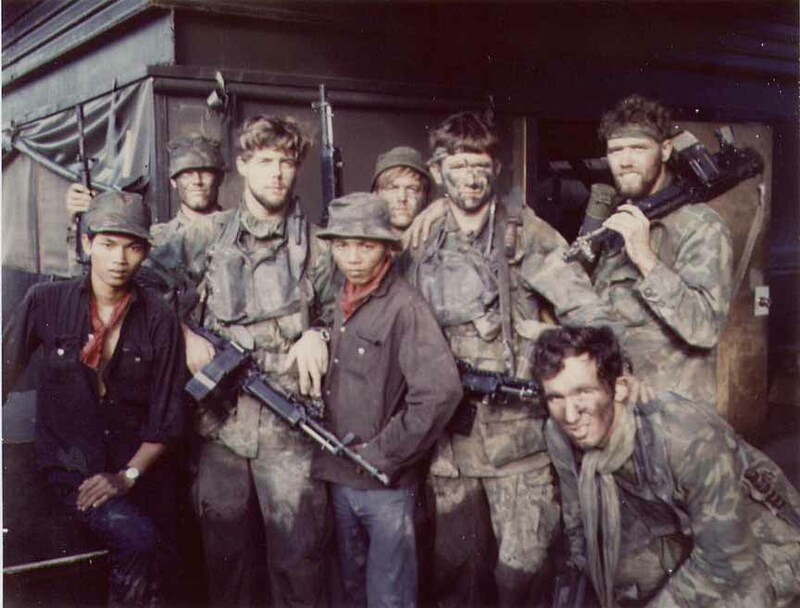 In it he described numerous operations in Vietnam and elsewhere. He also discussed his role in the sea recovery of Apollo 11 – the first spaceship to carry men to the moon. His first job was driving an ambulance at the age of 16, alongside older brother Fred. The next year he was racing stockcars and working for Village Ambulance Services. One day they got the call that a woman in the grandstands was having a baby. 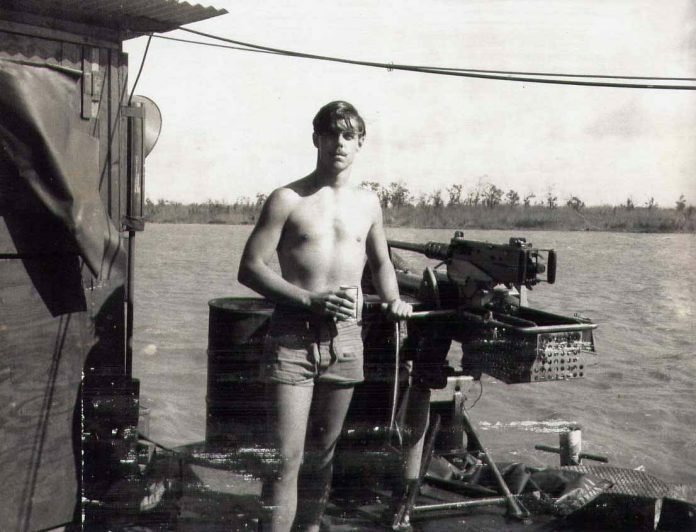 Two years later Greg enlisted in the Navy and became a corpsman. 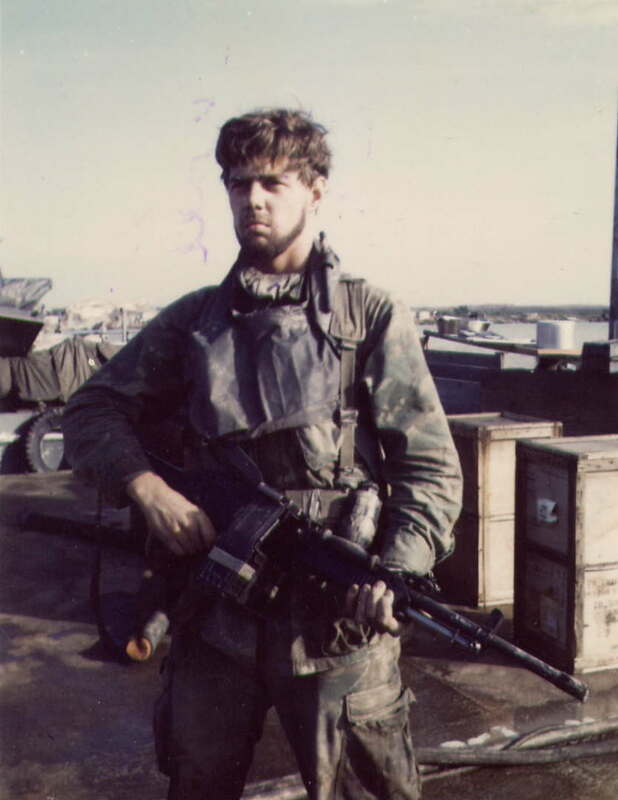 He was assigned to Marine Third Force Recon, one of the elite special-forces units known as, “The eyes and the ears of the Corps.” They deployed to Vietnam in 1968 just in time for the TET Offensive. “Lots of tagging and bagging,” he would recall in his book. In civilian life, Greg talked a jumper down from the Coronado Bridge. Another time, the City of Coronado made it “Greg McPartlin Day” and issued him a Proclamation for bringing a young drowning victim back to life. To this day she visits the McPartlin household annually, as an adult, with a family of her own, to honor Greg for saving her life. During his long tenure as owner of McP’s Irish Pub, it was not uncommon to see Greg leap into action to save the life of a customer. Within moments, Greg could be found straddling a lifeless body, pounding the chest to recover a heartbeat or breathing air into his lungs. Most were saved. Some were too far gone. 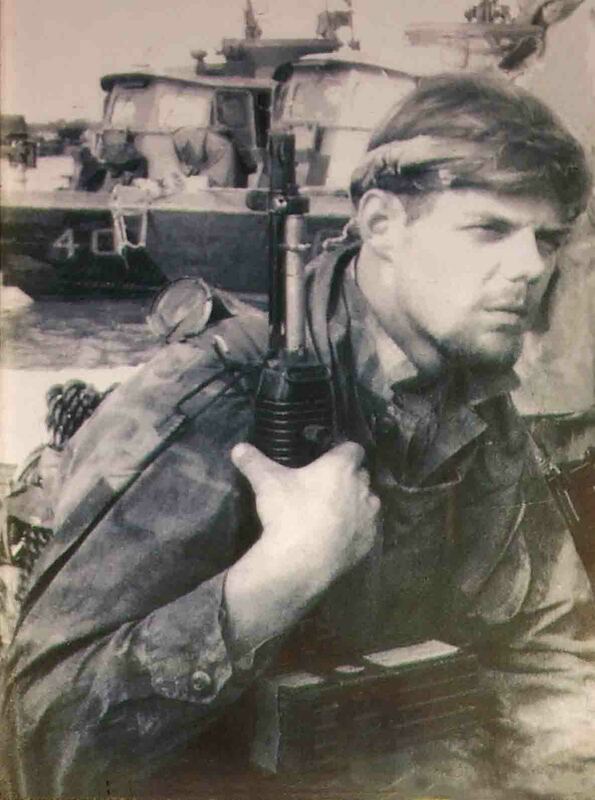 But nothing stopped McPartlin from going into action – a knee-jerk reaction ingrained in him, taught him while in the service of his country. Greg is survived by his wife Holly, of 35 years, and his children Drew, Cerissa, Jessica, Greg and Maggie. He is also survived by brother Jeff McPartlin of Great Falls, Montana, and four grandchildren. Services will be held at Sacred Heart Catholic Church, in Coronado, Tuesday, Nov. 20 at 1 p.m. Immediately following the services a celebration of life, a good, old-fashioned Irish wake, will take place at McP’s Irish Pub, 1107 Orange Avenue where the Stilettos will perform, and an open mic will be available to those wishing to share memories of Greg McPartlin. 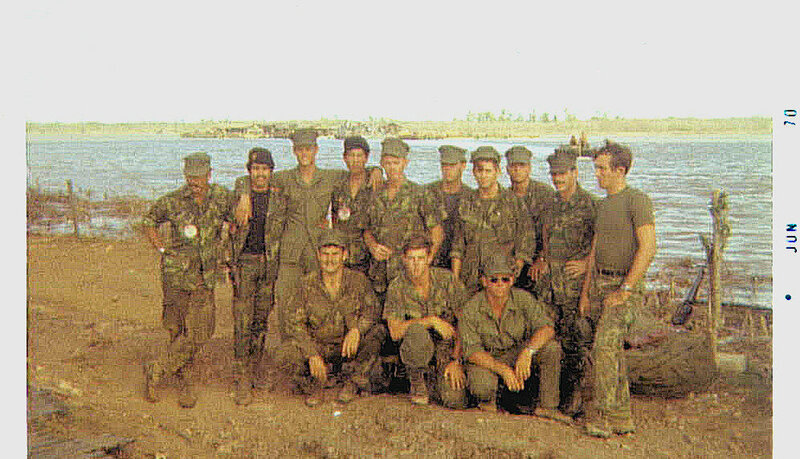 Greg and ALFA platoon. The top photo is just before they deployed.